County Durham’s proud manufacturing heritage inspired dozens of bright young minds to make products for the 21st Century home as part of a popular schools competition. 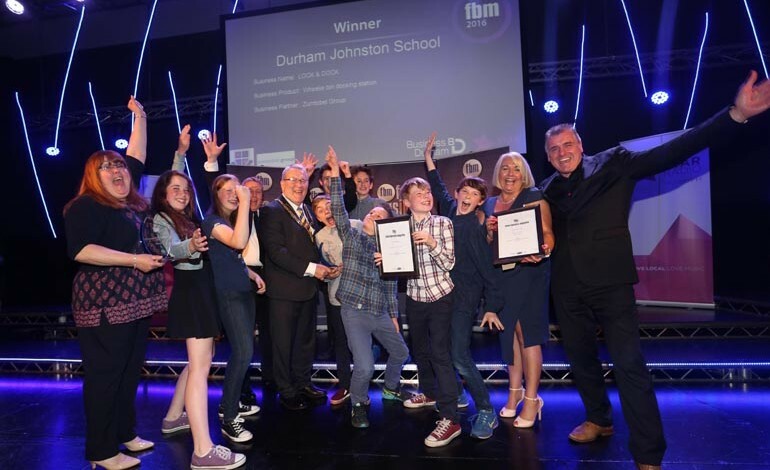 Talented young entrepreneurs from Durham Johnston School, in Durham City, were awarded the accolade of Future Business Magnates 2016 at a glittering awards ceremony at The Xcel Centre, in Newton Aycliffe. The team from Durham Johnston impressed judges with their wheelie bin docking design Lock & Dock made under the guidance of business partner the Zumtobel Group. Runners-up King James I Academy, in Bishop Auckland, created a plastic shredding device called Easi Shred with business partner support from Aycliffe-based Intumescent Fireprotection Services, while third place school, Ferryhill Business and Enterprise College, worked with business partner Hydram Engineering on their pet training/health monitoring device Trackapet. David Martindale, a Business Studies teacher at Durham Johnston School, said students had worked very hard throughout the year and scored highly in each challenge. “The competition gives young people an insight into the world of business which they would not otherwise get. It helps the students taking part develop entrepreneurial skills in communication, team work and decision making etc which they can use throughout their lives,” he said. Now in its 11th year, FBM – organised by Business Durham, the economic development company for County Durham – saw 20 schools from across County Durham vying for the overall winner’s prize and a host of other accolades. 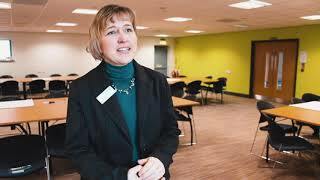 Leading County Durham businesses had mentored pupils with their ideas and supported them through the business planning process, introducing the young people to the excitement of running a business as well as developing real work skills. The focal point for this year’s competition was Business Durham’s infographic ‘The House that County Durham Built’ highlighting the products that local manufacturers make and how they influence our everyday lives. Schoolchildren developed their own world beating products for the modern home. Since November, each team had worked with their business partner, using their science, engineering, technology and maths skills to take a product idea from concept to prototype. 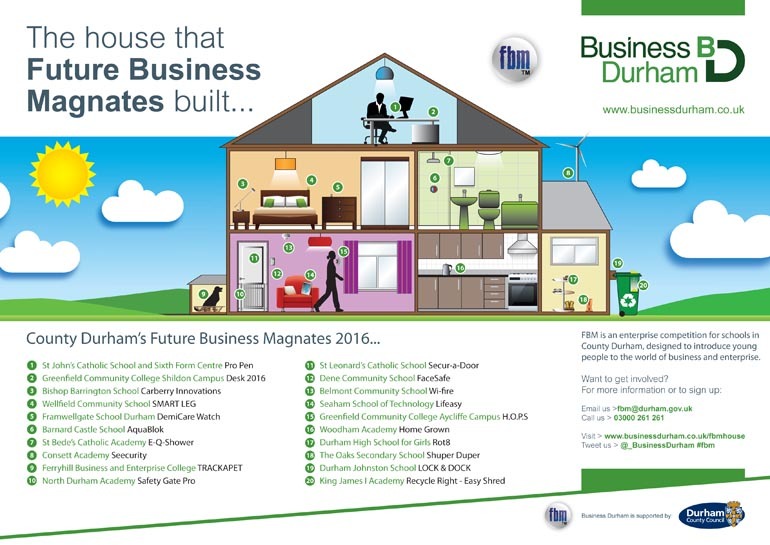 Their designs so impressed competition judges that Business Durham created a new infographic ‘The House that Future Business Magnates Built’ to showcase the youngsters’ ideas on its website and across its social media channels. Simon Goon, Business Durham managing director, said: “We never cease to be amazed at the creativity and sheer enthusiasm young people show in FBM. They have taken this year’s manufacturing theme and run with it, using their creative flair to make products that will save time and energy in the modern home. Following their success, students at Durham Johnston said they had learned a great deal through the competition. Year 8 student Theo Glover said: “FBM has been an amazing experience and helped me learn new skills, like how to make a business viable and how to market your product to your target market.